Looking for something to do with the kids these holidays? The circus is in town! 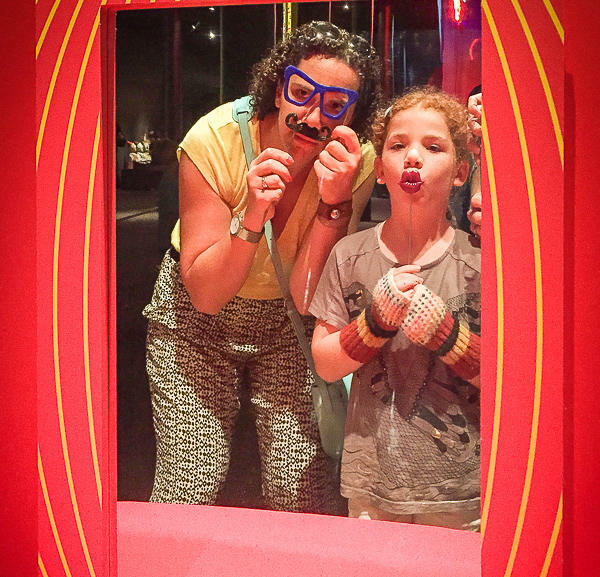 Well, not the circus as you know it – this is Circus Factory, which has just opened at Sydney’s Powerhouse Museum and runs until the beginning of May. It’s the perfect place to let the kids (and the grown ups!) unleash their creativity for a day of fun and mayhem. 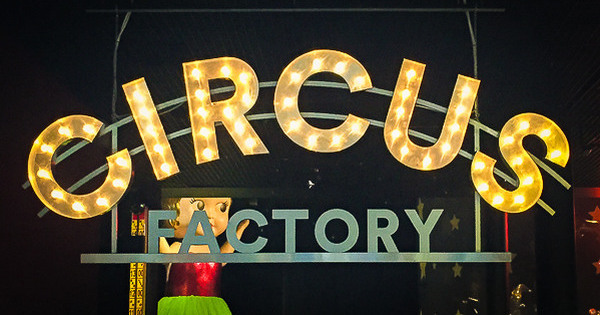 Circus Factory is truly a circus wonderland, the scale of which has never been seen in Australia before. 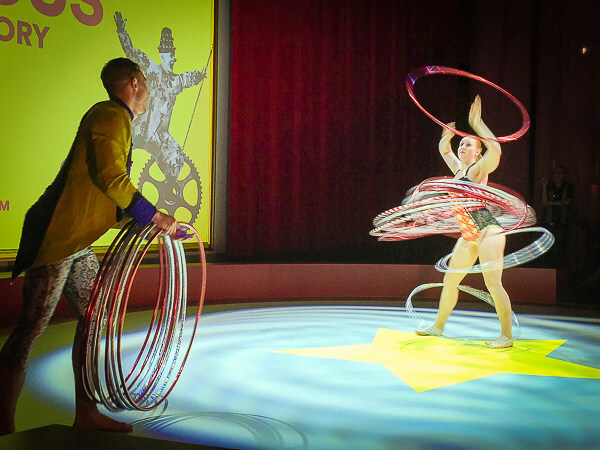 There really is something for all ages and levels of interest, with not just live performances and sideshows, but also fabulous historical exhibitions of circus paraphernalia throughout the last two centuries, from both local and international circuses. One of the highlights is the display of circus costumes from the last century, put together in a collaboration with the Centre National du Costume de Scène, in France. It’s not all performances and exhibitions though – what makes Circus Factory that little bit different and more special is its hands-on approach. 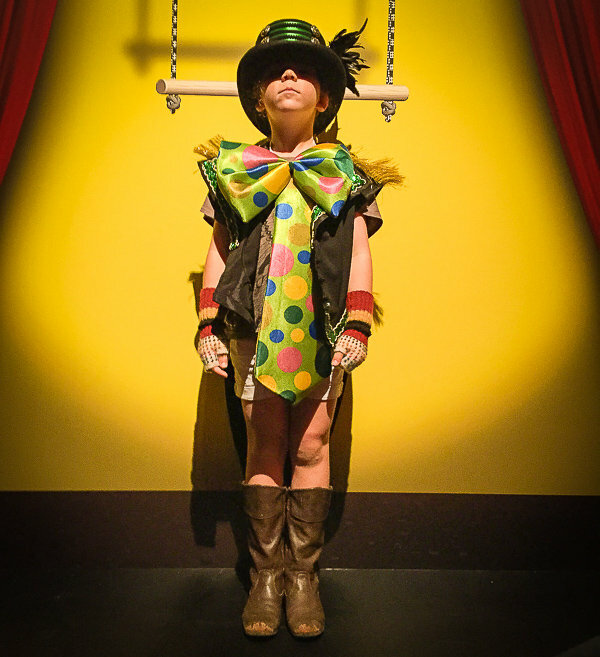 Kids can try their hand at juggling, hula hoops, spinning plates, along with other great sideshow style activities, as well as dressing up in all kinds of clown clothing. Our very own Mandi and Ben were lucky enough to get along there recently with their girls, and you can get an idea from the photos what a blast they had. You can even take a ride on a 100-year-old carousel! 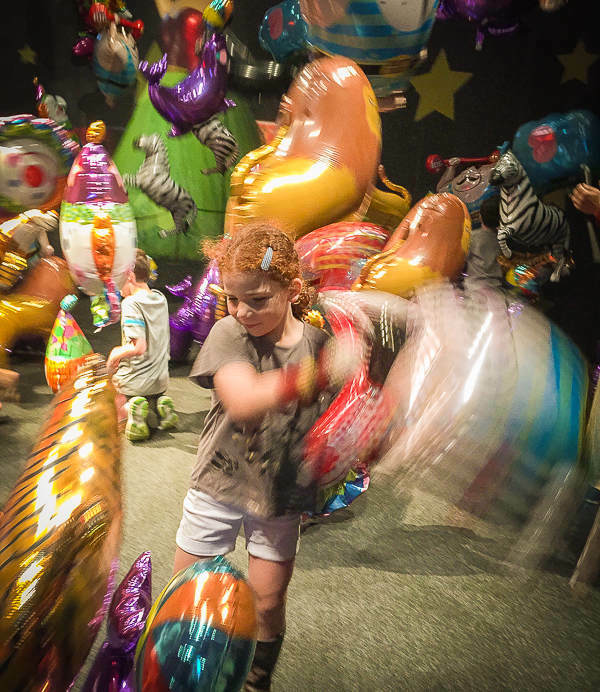 Kids won’t want to miss the swirling balloon room either. During the January and April school holiday period, there’s an added extra – a limited season of performances from amazing contemporary Australian circus troupe Circa. Admission is $35 per adult, and with each paying adult, you’ll receive free admission for three children! That’s a good value day out. For Powerhouse members, it’s even cheaper, at $25 per adult. You can book online at the Powerhouse Museum, or in person when you turn up.